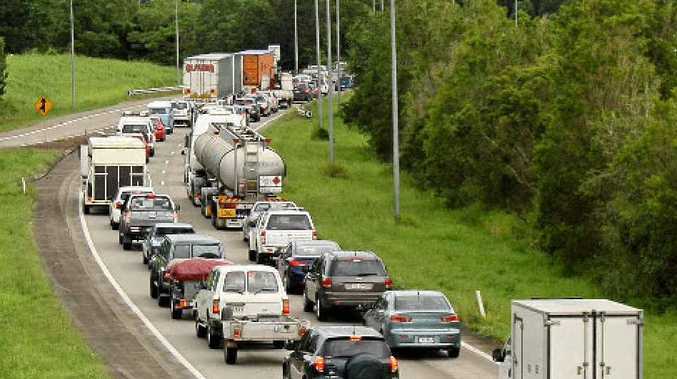 THE woeful state of some Sunshine Coast roads and highways is a key driver in RACQ's campaign to obtain federal funding for desperately needed upgrades. The Bruce and Warrego highways are at the forefront of the initiative focused on reducing the alarming number of road deaths throughout Queensland. The campaign comes ahead of the September Federal Election in the hope of pressuring all parties to make a billion-dollar policy commitment to upgrade Queensland roads. RACQ executive general manager and former Sunshine Coast local Paul Turner said he understood the frustrations of Coast drivers. "The Sunshine Coast knows very well how bad Queensland roads are," he said. "There are several areas of the Bruce Hwy either side of the Sunshine Coast that need to be fixed and that's what this campaign is about." The campaign is spelt out across a number of billboards along the state's busiest roads as part of the Demand Better Roads campaign. Mr Turner said a key priority for the next federal government, regardless of its political persuasion, had to be to cut the rising road toll and reduce the social and financial chaos it caused to families, industry and the broader community. To reduce the state's rising road toll, Mr Turner said the RACQ suggested the government widen the highways, remove trees and poles on the side of roads and place heavy-duty wire barriers between lanes. Mr Turner said the campaign hoped to secure $1 billion from the federal government over the next 10 years. What are the chances of the Coast getting substantial funding for our roads? This poll ended on 23 May 2013. Pffft - we're too politically predictable to get anything!